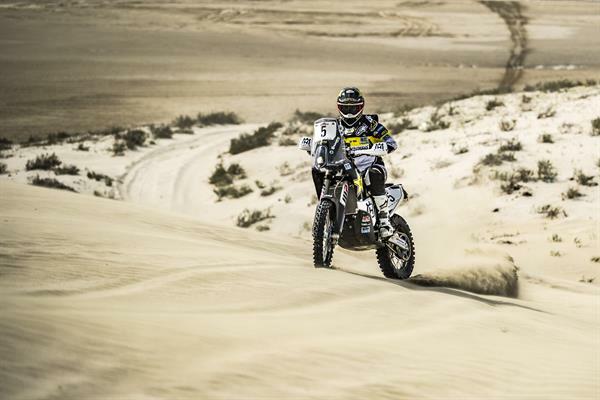 Pablo Quintanilla and Pela Renet have their sights set on success at round three of the FIM Cross-Country Rallies World Championship as the Rockstar Energy Husqvarna Factory Racing duo gear-up for their participation in the 2017 Atacama Rally in Chile. Contested over six days in the northern part of the country, the Atacama Rally will see Pablo Quintanilla race on home soil. Currently placed second in the provisional series’ standings, the FR 450 RALLY mounted rider will continue the fight to defend his 2016 title. For Pablo’s Rockstar Energy Husqvarna Factory Racing teammate Pela Renet, the Frenchman takes the trip to Chile looking to continue his strong run of form in the 2017 rally racing season. Securing a stage victory at the season opener in Abu Dhabi, for Pela the Atacama Rally represents a great opportunity to improve his speed and consistency in longer desert stages. The Atacama Rally is the third of five rounds in the 2017 FIM Cross Country Rallies World Championship. Kicking off on August 13 with a 14km-long Prologue in Copiapó, the event will see competitors race a total of 1957km. Featuring 1430km of timed specials, the big finish of the Atacama Rally 2017 will take place in Iquique on Friday, August 18.